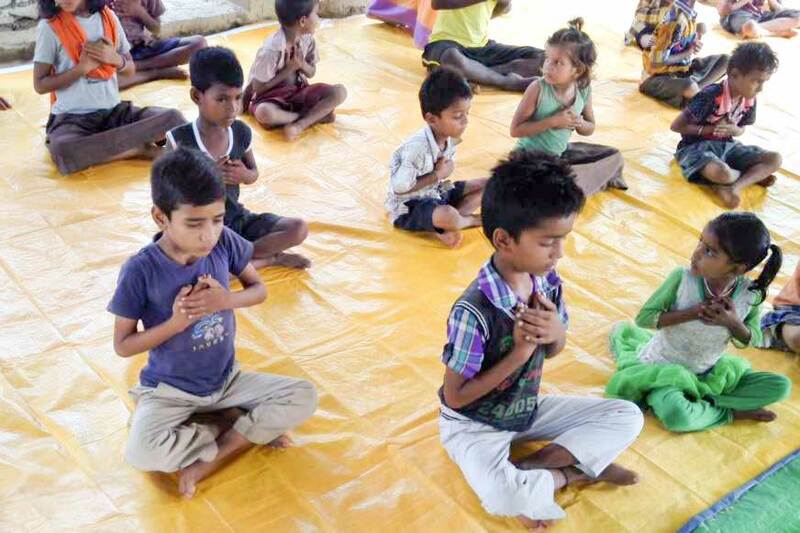 Participation in Amrita SeRVe’s festivities for the International Day of Yoga resounded across our villages with about 1,200 people taking part in classes. The students were of all age brackets with men and boys, women and girls—all moving through asanas and meditation. With this day, we also celebrated 30 years of Amrita Yoga, which describes the event as honouring yoga as humanity’s birthright. It is a reminder to recall that the seeming differences between nations, religions, and traditions are only on the surface. This day is another opportunity to dissolve all these seeming differences, which is the highest goal of yoga practices. Urmila (the Amrita Serve Health Care Worker) went around the village inviting people to come and join and they happily did. We split the group into two, children first and then women. About 80 children were there and we had to rearrange tarpaulins and mats so that everybody could fit in. Then the women, about 20, did yoga and the rest of them who were shy sat around the hall. By the time we finished, it was around 200 people there in the little community hall, as people kept joining during class. Fully packed. With the children we did Surya Namaskar and some standing asanas along with breath awareness and meditation. With the women, we did very simple and relaxing asanas with meditation at the end. The children were super excited. 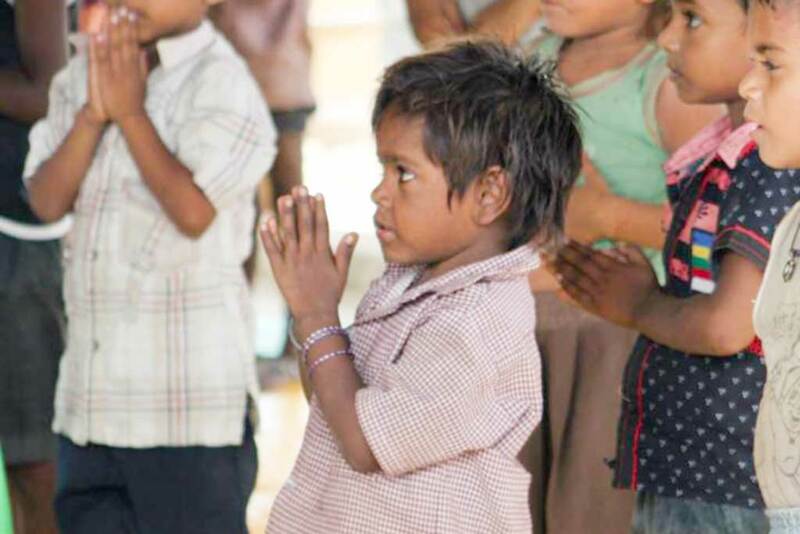 Many of the Musahar children, who often do not wear clothes, were sent there by their mothers with shirt and pants on. The smallest ones were about 2 – 3 years old. Mothers also came with their tiny infants. After two sessions of yoga, Nand Kishore (the Amrita SeRVe coordinator in Bihar) gave a talk about yoga and we sang a bhajan. Some women and children also lead songs of their own tradition, which was very touching. The event ended with biscuit distribution to all. The atmosphere was quite high. Some of the women appeared to be in a very devotional mood, which was likely from the meditation and satsang.